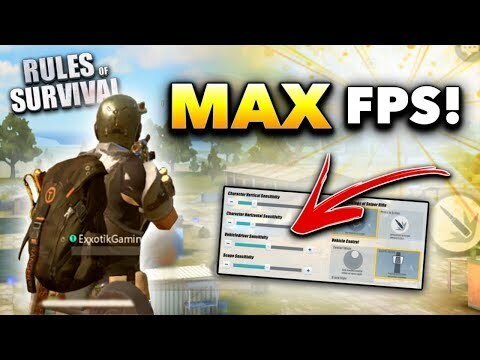 Rules of survival mobile game is a free-to-play 3D shooter game with aspects of mobile battle royale. The game is available for both Android and iOS platforms and was developed by NetEase Games. Essentially, it’s a PlayerUnknown Battleground (PUBG) game that’s easily played on the mobile devices. Rules of Survival is also a multiplayer game with up to 120 players who can play it online starting out in a desert land that is vast. The players have to fight to the death by the use of vehicles, weapons, and other resources which are availed to them in the map of the game. The game was released on November 4th, 2017. A player can either enter the game single-handedly or alongside four other players. They then prepare to get into a match against other 120 players where the only the fittest of them all will survive. Once you strategically drop from the air into the huge desert island, you rush to collect weapons, armor, and other useful resources. These are what any single player needs to gather if they are to fight effectively. After gathering all these, there are two ways one can decide to proceed. The first option is to watch and wait as the other players engage in the battles until they finish one another off. The second option is to engage the other players head-on. The main aim of any player is to end up being the one and only player that remains standing at last. Similar to the other games in the genre of Royale Battle, there is the continual restriction to the game area by a circle. This circle has the capacity to deal damages to a player. Therefore, to avoid getting such damages, you should stick to being at the center of the circle. However, this also exposes you to more dangerous players groups. There is a wide variety of firearms that can be used during combat. At the same time, there are a number of vehicles that can be used for getting to different places where you want to be. You can also alter the appearance of your character by unlocking a number of cosmetic upgrades. These are available in the Rules of Survival Shop. There is a variety of armor and weaponry that are available all over the island. You can equip them as per your wish and use them during the battles. They include assault rifles and SMGs. There are even helmets that are a good protection from the shots to your head. By using your skills and wits, you can fight on the vast desert to remain as the only man after finishing off all the other players. You can air-drop onto the vast island that is full of empty buildings that make it possible for you to strategize sufficiently and stay at the top of the game boards. You can either play the game solo or join forces with friends in order to survive. There are a number of vehicles deserted all over and you can use them to sail through territories that are dangerous and get to new areas. In general, the Rules of Survival offers a great thrill to those who love PUBG games. It’s worth the time of any gamer who’s looking to experience a game full of combats.